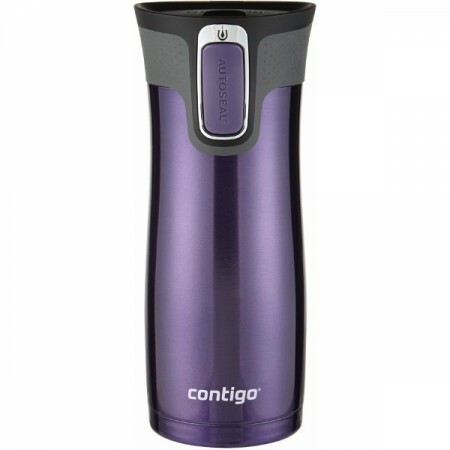 Contigo 470ml Violet West Loop autoseal stainless steel vacuum insulated mug is a travel friendly thermos perfect for active lifestyles. Simply push the button to open the Contigo Autoseal lid and release again to close. 100% spill & leak proof when closed. Will insulate hot for up to 5 hours and cold for up to 12 hours. Consuming less over time: Reusing a bottle instead of buying water in disposable plastic bottles, or takeaway coffee in paper cups is good news for the environment. It is estimated that 38 billion disposable water bottles end up in landfills each year. Australians use approx. 500 million disposable cups a year. Tough and quality long lasting materials. This product's long life means precious resources are not wasted to keep making low-quality, disposable products. Vacuum insulated stainless steel insulates warm drinks up to 5 hours, and cold drinks up to 12 hours. 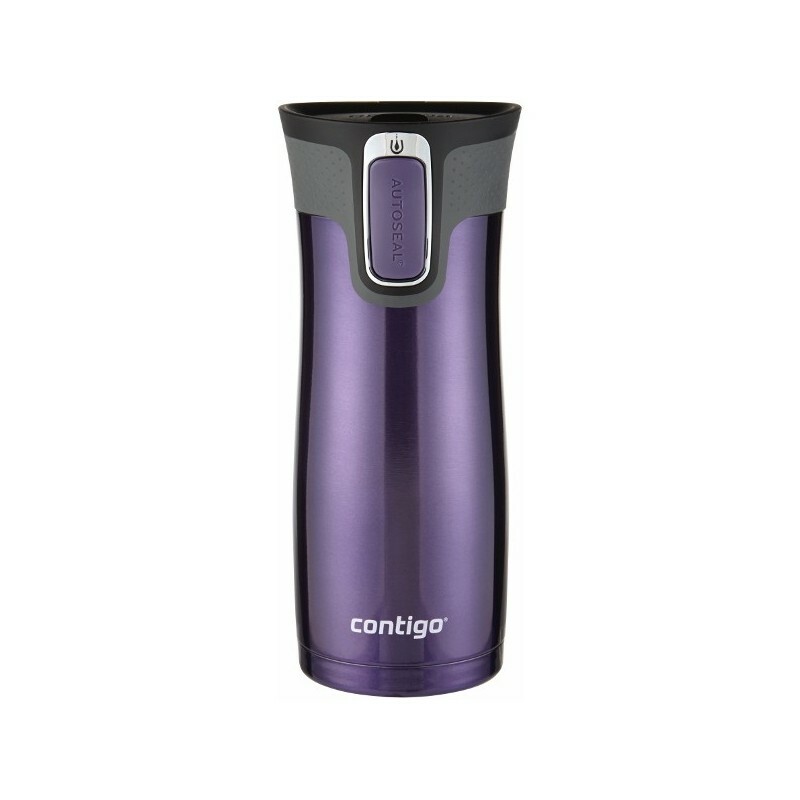 Browse our other Contigo products and insulated bottles.